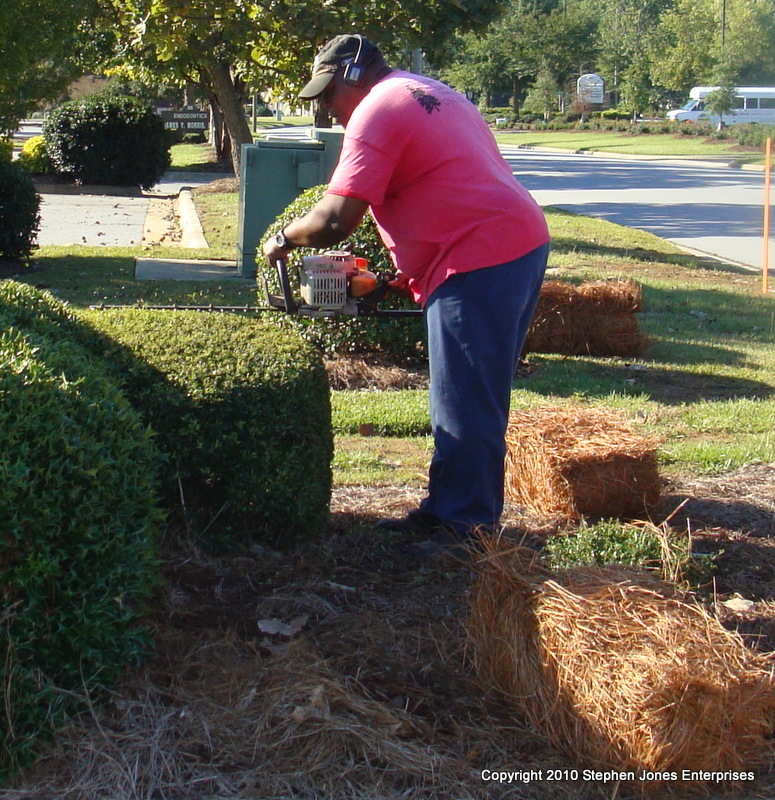 YOUR SOURCE FOR QUALITY SERVICE AND SUPPLIES IN THE LANDSCAPE INDUSTRY. Our company provides an arsenal of high quality services that make us one of the leading and most versatile in our area. 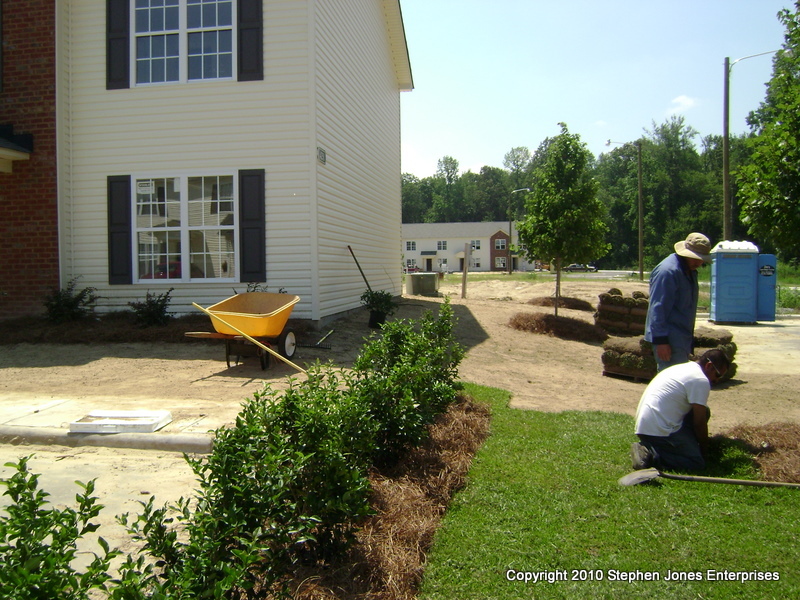 Whether you are looking for a full service landscape management company or if you are looking for our custom design and build landscape installation packages, we are the company that can provide them all. 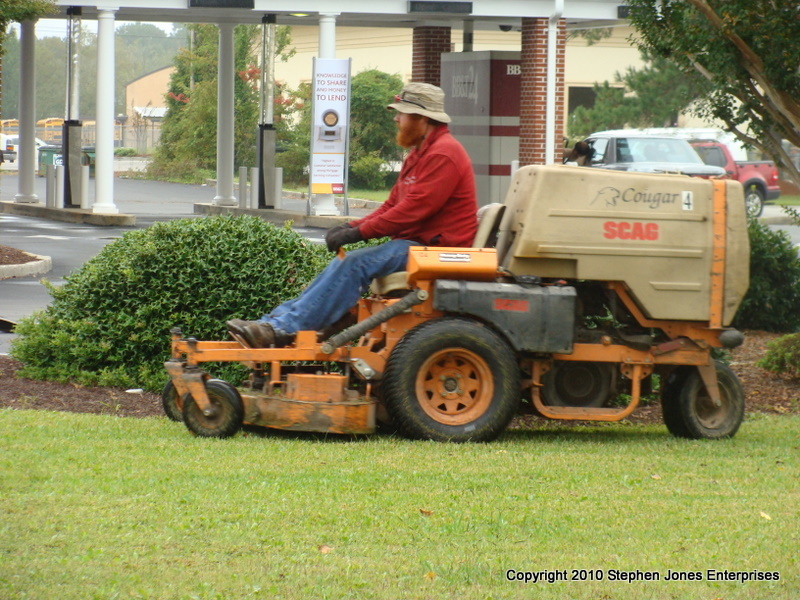 We offer a full range of landscape management services to customers in several genres such as: industrial, medical, student housing, apartment rentals, multi-family housing, small businesses, large corporate companies, home owners associations, municipalities, hospitals and universities. We taylor fit our contracts to suit the needs of the client. All general estimates are free of charge. Many of our customers have been steady clients for nearly 20 years, we pride ourselves on loyalty and dependability. 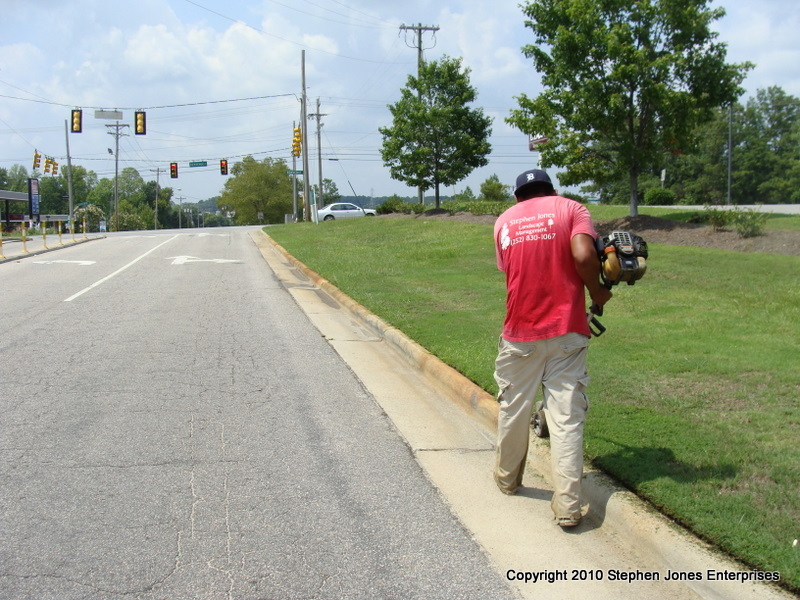 Our commercial landscape services include commercial mowing from 20 inch mower swaths to 18 foot wide area mowers, power edging, string trimming, power blowing, pinestraw and mulch installation, debris collection and removal, arborist services, snow and ice control services, leaf and debris removal, tree removal, lawn arreation, fertilization of ornamentals and turf, integrated pest management for weeds, insects, disease, aquatic plant life management, pond and lake treatments, sod installation, annual and perennial color plantings, heavy rotary mowing, embankment mowing, tractor work, backhoe work, skid steer work, among many other services that are offered in the landscape industry and within our company. Reference sheets are always available upon request! 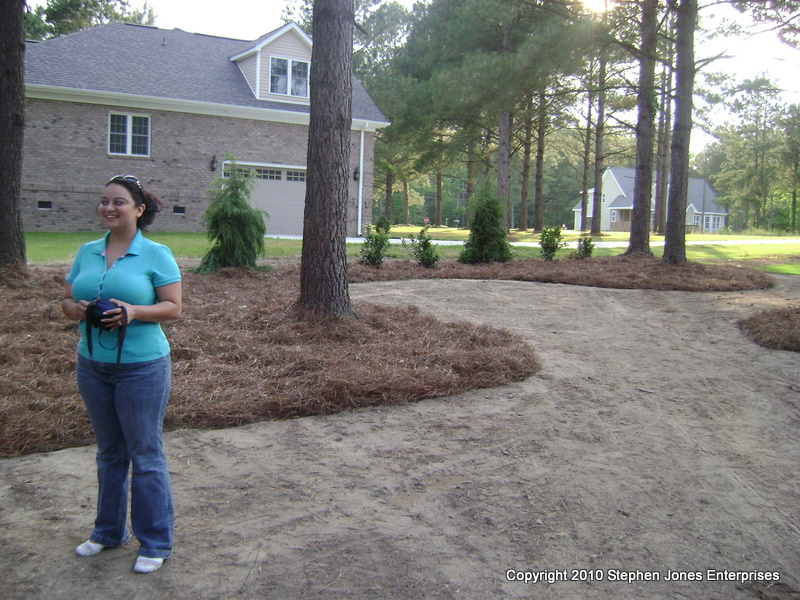 Our company offers complete landscape design and installation services for virtually any landscape desire. 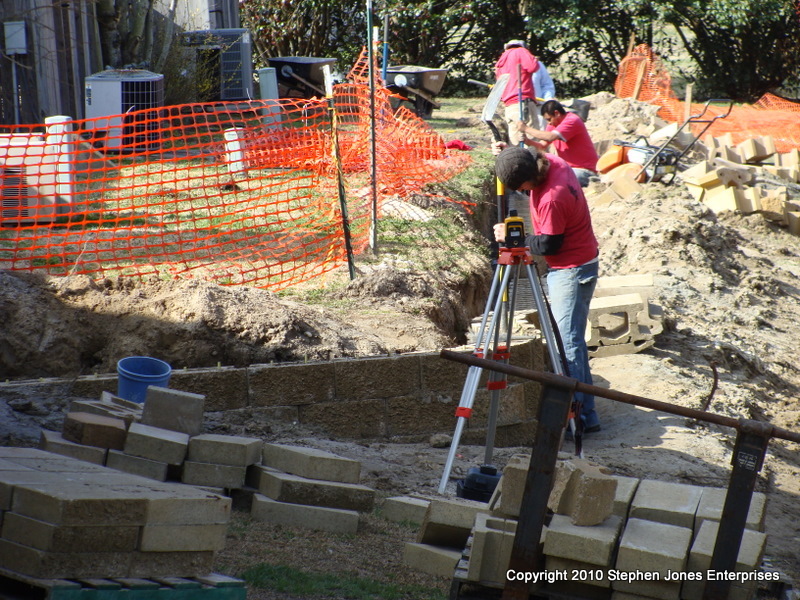 We are licensed as a Certified and Registered Landscape Contractor with the state of North Carolina with Stephen Jones personally hold the contractors license number 1791. 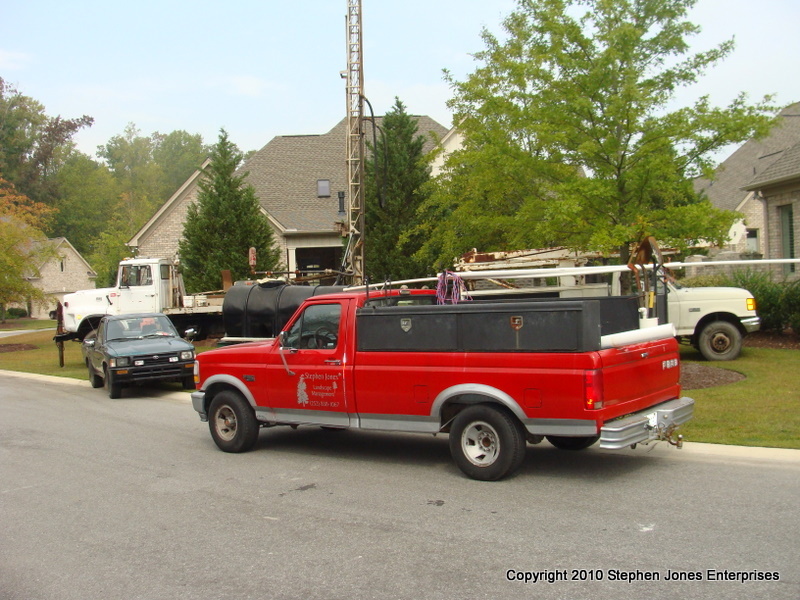 These services are offered for residential, commercial, industrial, homesteads, subdivision construction and open range landscape services. 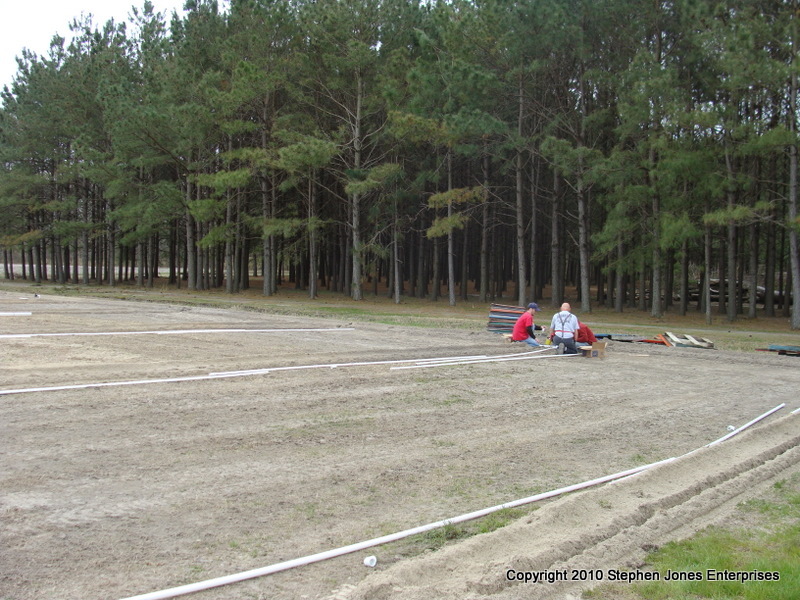 Our initial design involvements include site and grade evaluations, soil analysis, structure surveys, environmental impacts, and watersheds. We then can either incoroporate the needs and desires of the client to fit the site situation or we can alter the site to fit the need to fit the need of the client. 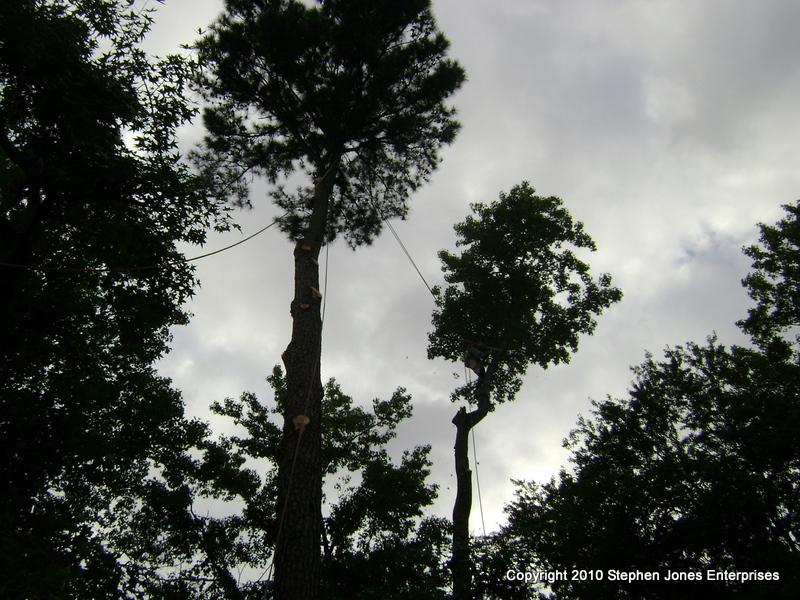 Our goal is always customer satisfaction, but however when the needs and wants of the client will not work with the environment and nature, we will tell the customer the way that nature truly is. We are an honest and straight forward company and those are the fundamentals of our integrity. Designs range from hand drawn designs to computer aided design services depending on the customers needs and budget. 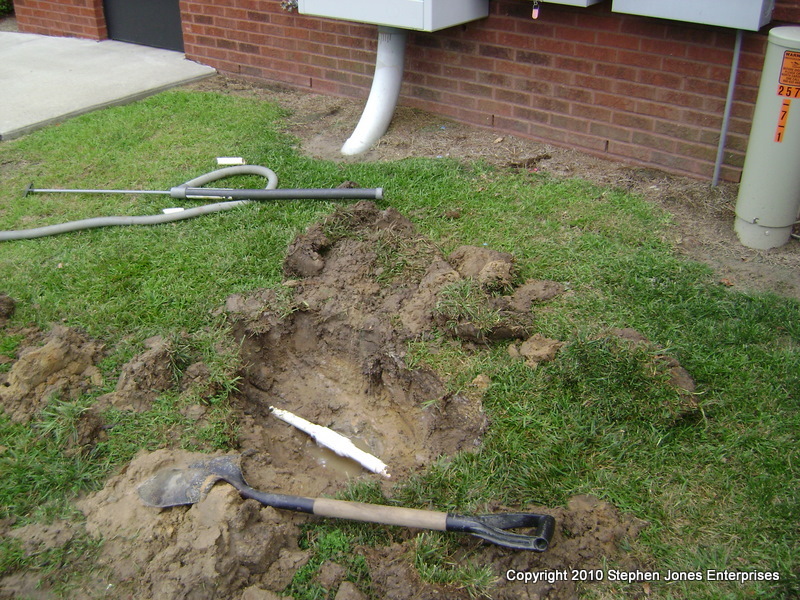 The landscape installation side of our company is as versatile and well equipped as any other aspect of our business. With a well equipped and established team of personnell, our projects can run smoothly and our experience enables us to handle the changes that often come with a project. 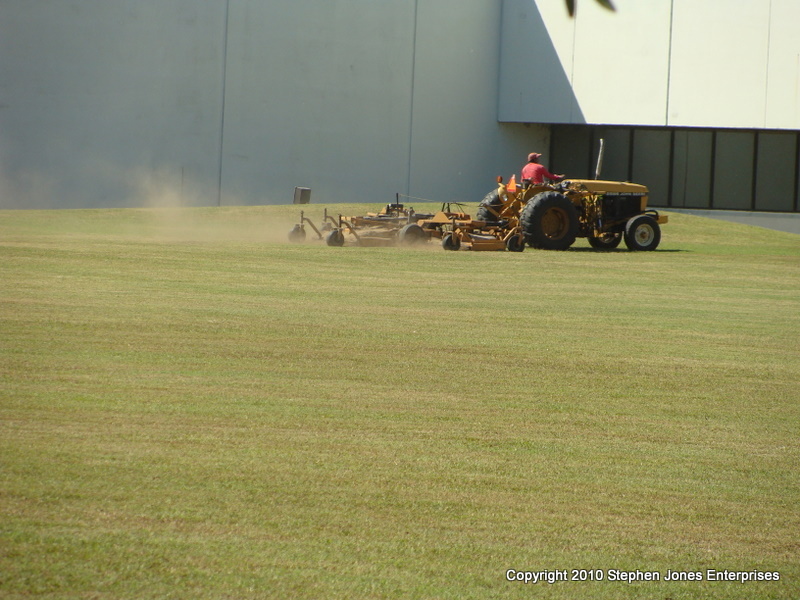 We handle everything from the cut and fill, rough grading, finish grading to shrubbery installation, tree transplants, large caliper tree moving and transplanting, seeding, sod installation, irrigation installation, erosion control, bufferyard and street tree installation, and many services utilizing tractors, backhoes, and skid steer machinery. It is the one thing that any living creature on earth can not live with out. WATER! 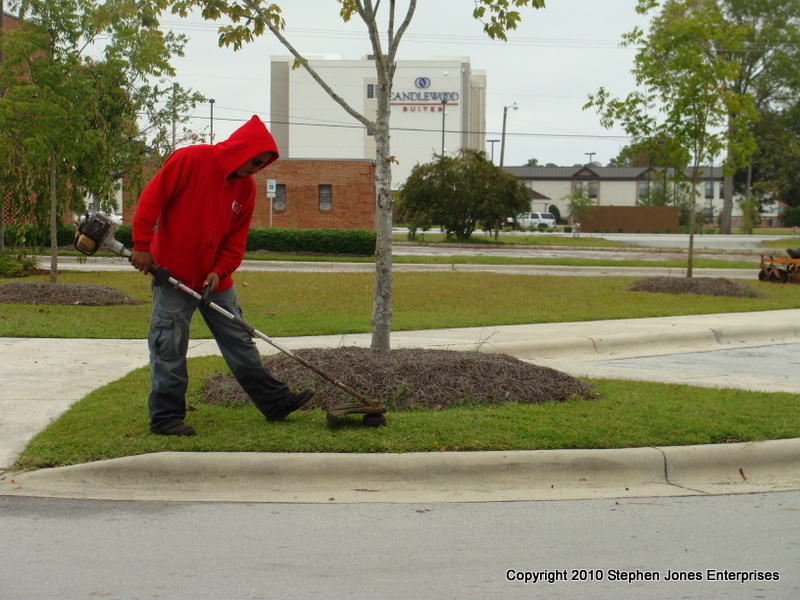 It is the essential part of what helps to make our grass green, our plants thrive, and our trees grow. 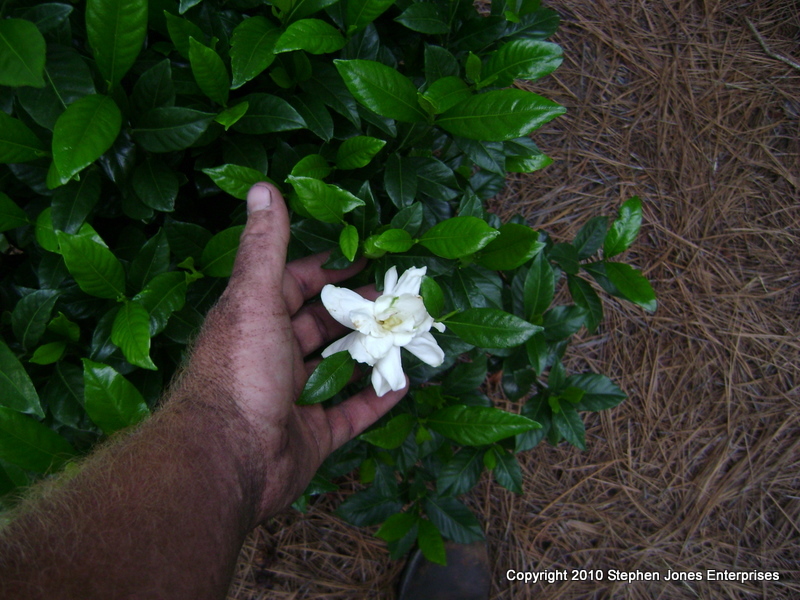 We offer many ways of providing irrigation to your landscape. Whether you need a new system designed and built from the ground up, or adding on to an existing system or repair of an existing system we can suite your needs. 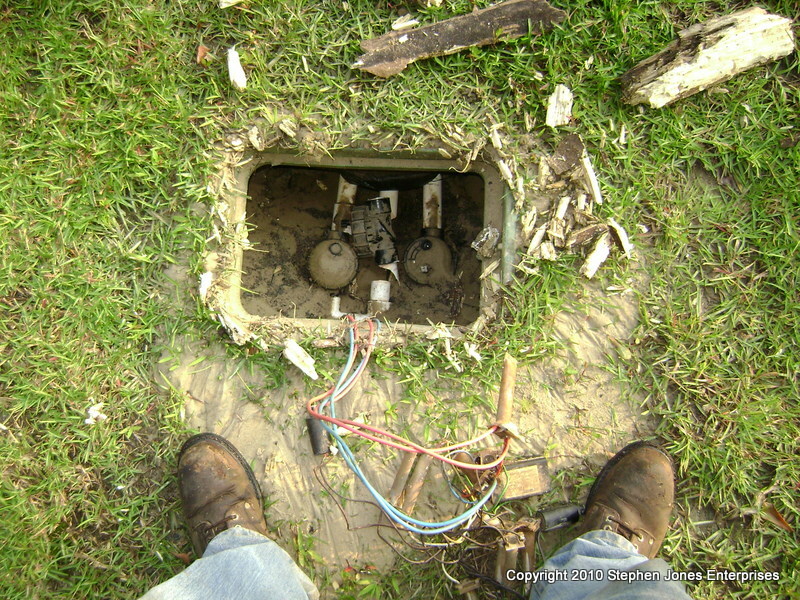 We offer installation of irrigation systems from utilty water supply meters as well as the design and installation shallow and deep well systems and water reclamation systems. We design the systems based on what needs the customer has and budget. We offer competitive rates and options to make your design as effecient and manageable as possible. With water restrictions becoming stricter on municipal systems, many people are taking alternatives to paying for water at the tap. 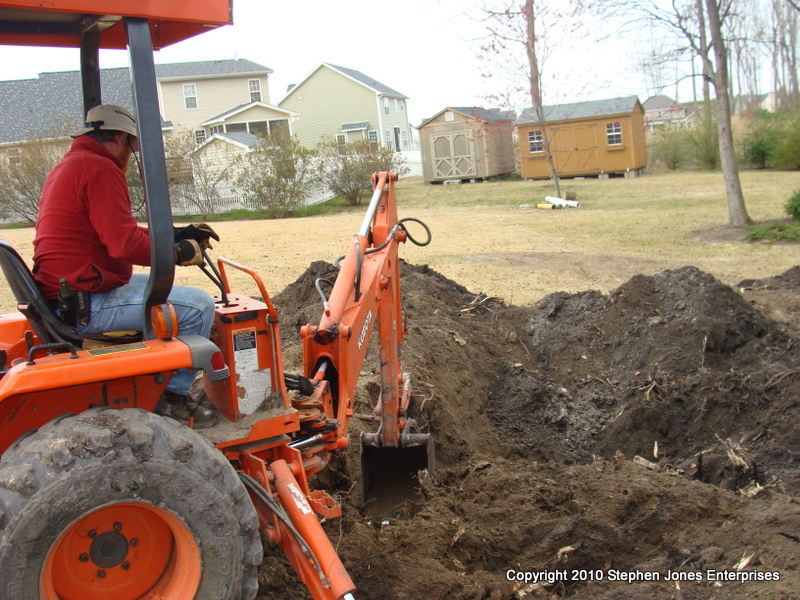 Many people are investing in their own private water source, especially for irrigation. 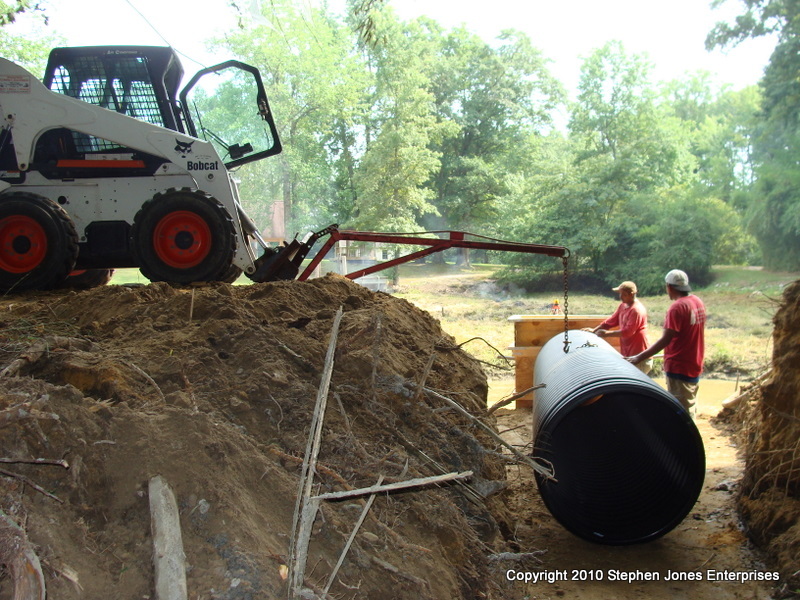 Irrigation wells give the customers a way to use ground water for irrigation purposes. 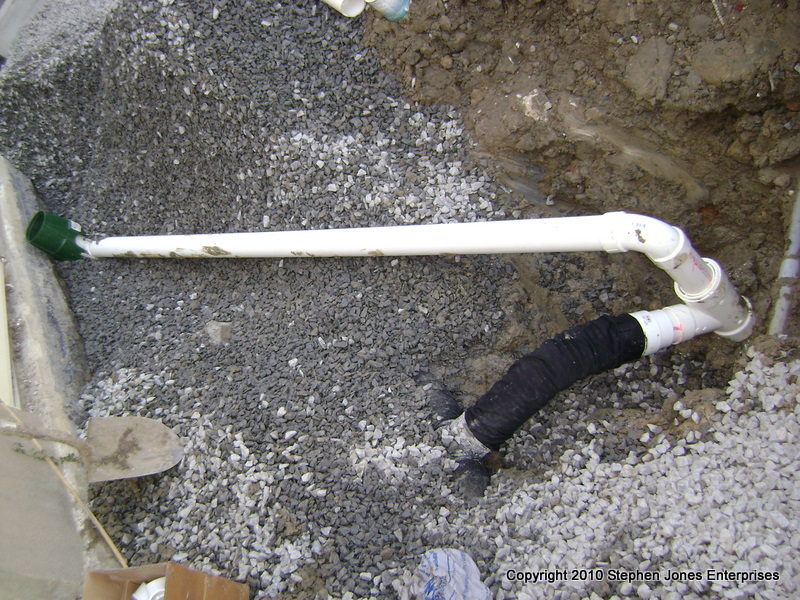 Another alternative that is becoming popular is water reclamation systems that capture surface water run off from storms and is contained and then reused to irrigate lawns, shrubbery and trees. 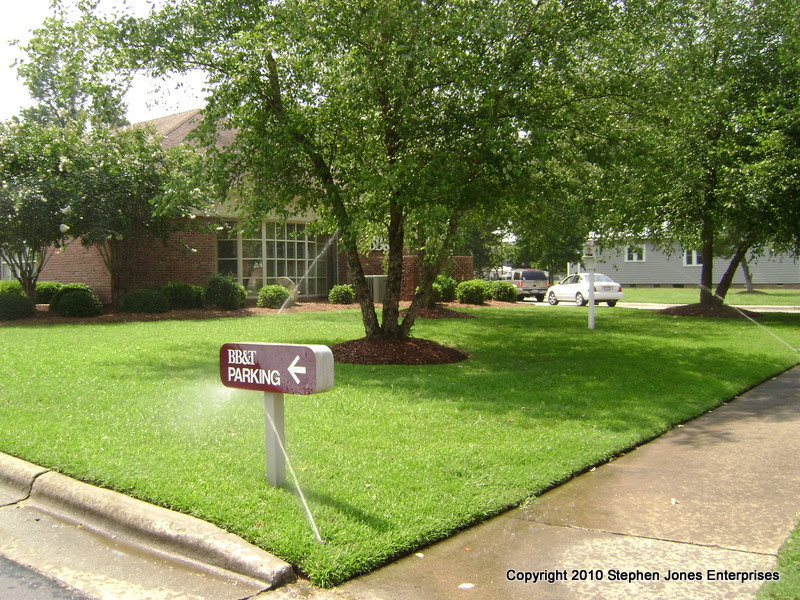 Please feel free to contact us with any of your irrigation needs. 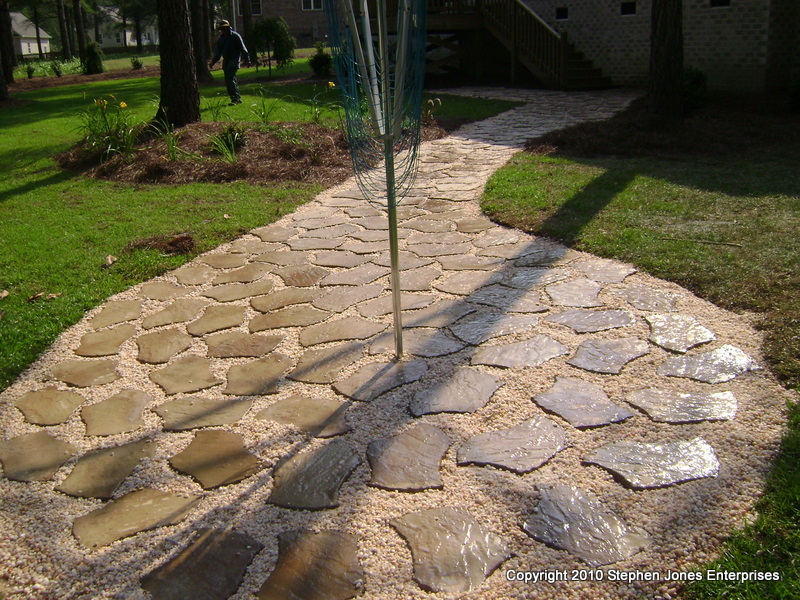 Many of todays landscape designs will have some aspect of stonework in them. 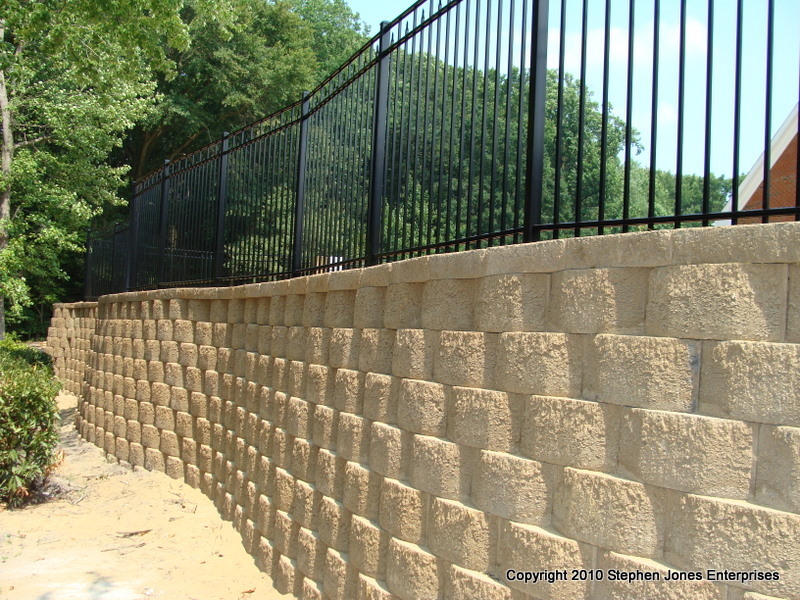 Whether it be from a simple walkway or patio to an elaborate retaining wall system, Stephen Jones Landscape Management will help you find a solution. 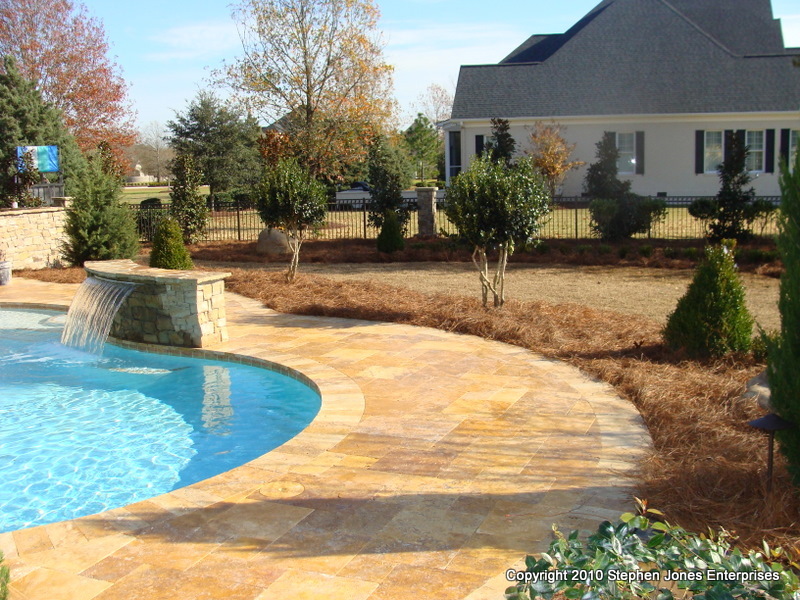 We offer options from natural stone, pre-cast concrete, stamped concrete, brick, paver, or some combination to achieve the customers goal. 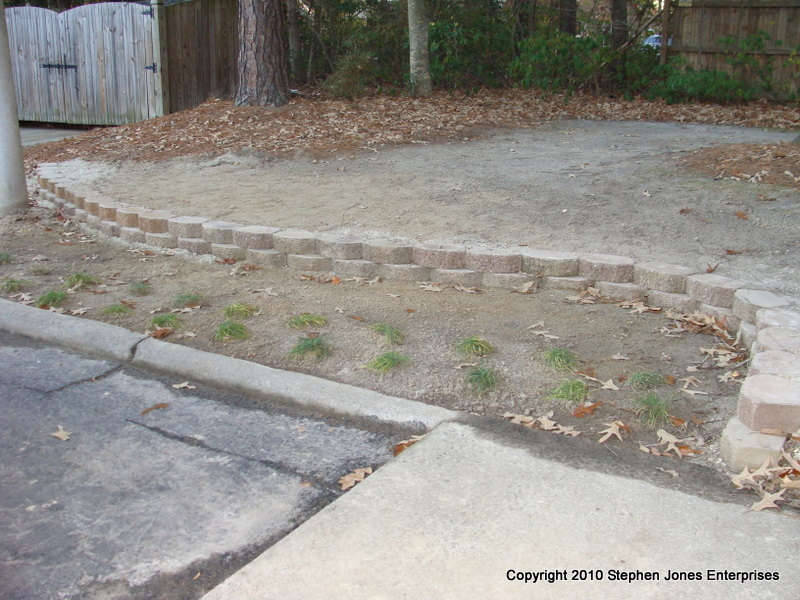 Certain land features often interfere with projects that customers would like to have completed. 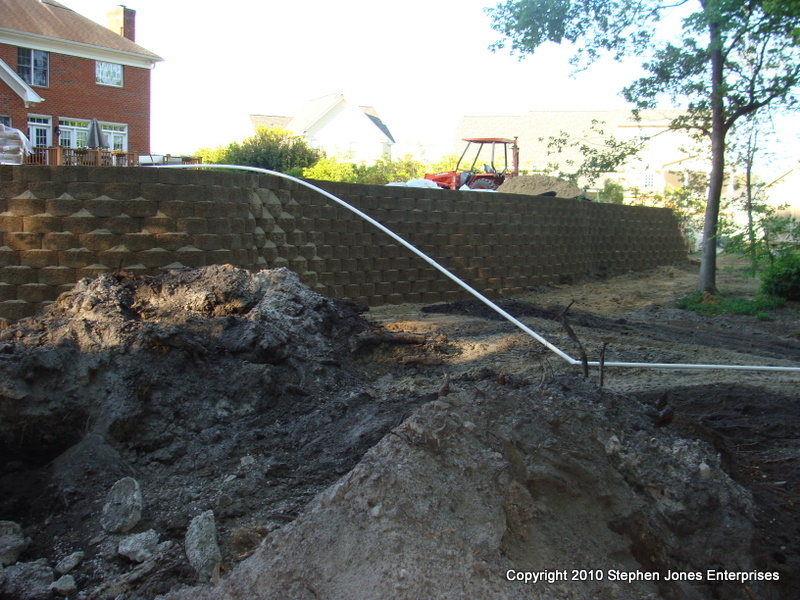 Often times the land area has to be altered to meet these expectations and in many cases the use of a retaining wall has to be implemented. We utilize several different design materials to meet these needs. 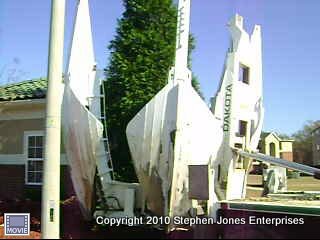 Please feel free to click over to our photos and testimonials page for a look at some of our previous projects.